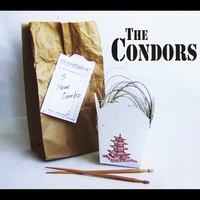 The title of The Condors’ third release, 3 ITEM COMBO, might suggest a trio format playing original pop and rock tunes. Perhaps it means the disc is comprised of various songs by this aggregation. The name displays individuality within a collective, as shown by the eclectic mix of styles on the CD. The latest lineup charts a direction into hitherto untapped territories of creativity, and they come through with flying colors. Returning to Vital Gesture Records, and once again produced by Steve Refling, the band finds themselves delving more into personal and emotional themes, while still retaining their trademark grit. The songs range from the full tilt rock attack of “Angry Little Man,” to the midtempo, evocative “Holiday.” There is a lot of depth to 3 ITEM COMBO that may be missed the first time through: a turn of a phrase here, a well-placed guitar pad or subtle vocal support. The band hopes that, with repeated listening, the nuances in the songs will become apparent. The praises for their newest release have been exclaimed worldwide. Here are a few reviews. "Los Angeles based band, The Condors, have just released their latest album "3 ITEM COMBO" on Vital Gesture Records and it is well worth getting hold of a copy. It's an excellent and timeless, muscular guitar album full of melodies and tunes. Kicking off with the great "Here I Go" which has a late seventies New Wave Power Pop feel, reminiscent of The Cars or The Knack. Second track "My Slice Of Life", has a nice jangly guitar motif running through the bittersweet tale and there are hints of Elvis Costello & The Attractions in there too. "Queer Fascination" ups the tempo with a piece of good time Rock & Roll. "All Hung Up" slows the proceedings down with rolling drums and a slightly darker, edgy melody. "Holiday" has a nice languid Teenage Fanclub flow with a lovely guitar break and a plea to escape the greyness of city life. The funky guitar chords to "What's Wrong With That?" lifts the mood with a punchy rhythm and sunny singalong chorus, I can imagine this being a favourite at the band's gigs, and it would make a fine single. "Angry Little Man" is a tough little number with a "Subterranean Homesick Blues" vocal line and some crunching chords bringing things to a close. "Seraphina Why" is followed by "Full Blown Love Attack", a storming garage rocker that The Long Ryders would have been proud to have called their own. "Bad Tattoo" is a bluesy number with some nifty harmonica, and the album ends with "Zzyzx Road" a punchy slice of Americana. So, a really great album, with lots of variety and more importantly lots of truly memorable songs." "Tasty riffs – good production and catchy songs put this band on my radar now. Starting off with “Here I Go”, this album is chock full of class-A/classic American power-pop of the best kind (think late ’70′s/early ’80′s). Lead singer/guitarist Pat DiPuccio has a good voice; the harmonies are tight and for a 3-piece, they sound full and crisp. “My Slice Of Life” is the embodiment of the sound I described in my last sentence; “Queer Fascination” reminds me a lot of my own outfit, The Punch Line (!). I can even hear shades of The Jam in some of the structures and guitar sounds, especially in “Seraphina Why”. “Angry Little Man” is the album’s standout with its minor chords and Rickenbacker-sounding embellishments. “Full Blown Love Attack” screams The Bongos at me (!) without the sweetness – imagine a pissed-off version of “Barbarella”… This L.A. band has been around for a while, but one hopes that with this release, they will shine brighter on the map." ​"3 ITEM COMBO is the third album from this Los Angeles 3 piece and, as per the previous two releases by the band, it is full to the brim with Power Pop pearls of wisdom, attitude, intellect and an abundance of energy. The songwriting skills of Pat DiPuccio absolutely sparkle here with tales both personal and emotional, coupled together with great scores of music that will satisfy all your desires with gritty riffs and sweet harmonies, and like the bands previous albums, will surely become staple listening for fans of quality Power Pop/Rock 'N' Roll. I am really enjoying this album, it is certainly going to be one that graces my year end "Best Of" list and really deserves to be in there, this is proper old school power pop, brilliant!" 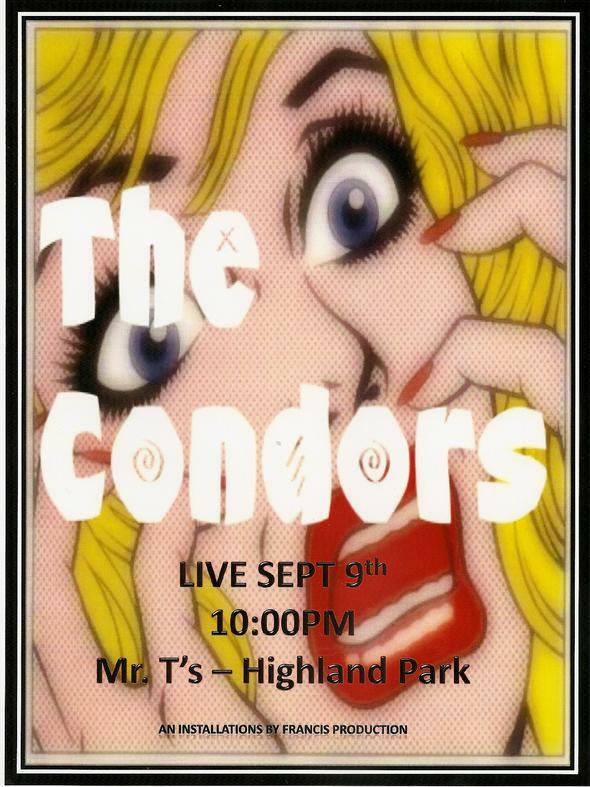 The Condors’ CDs are available at CD Baby, Amazon, iTunes , Napster, and other quality websites. 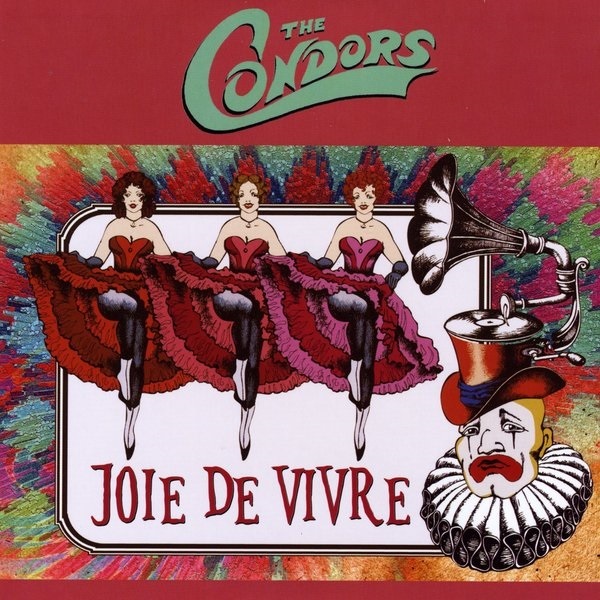 For their sophomore effort, The Condors again enlisted producer, Steve Refling (Fuzztones, Davie Allan and The Arrows), to realize the band’s vision of overlaying old school punk with timeless pop production. These twelve songs reflect one rebel’s view of life against a nighttime Los Angeles backdrop. Drummer, Jay Nowac, and local bass legend, Mark Hodson, forged a solid rhythm section; while second guitarist, Dirk Dierking, contributed layers of background vocals. Special guests spiced it up with horns, keyboards, additional percussion, and accordion. 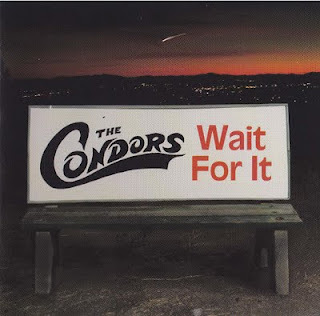 On WAIT FOR IT, The Condors achieved a big, warm sound by eschewing a modern approach to recording for the tried and true analog format. WAIT FOR IT has received excellent airplay and press all over the United States, as well as in Europe (disc of the month on Spanish site, Power Pop Action) and South America. The track Set Me on Fire was featured in the Rich Riedel film, TARGET PRACTICE, now released on DVD. "Yeah! This So. Cal. foursome have retained the two most important things that they learned about rock and roll back in first grade; one, it has to retain that sense of fun that rock can seem to lose from time to time and two, put as many hooks that you can cram into a song and then put in a few more! Taking their cues from everyone from Cheap Trick to The Knack to The Replacements to contemporaries like Tsar And The Lolas, things start out in 4th gear and remain there for the whole record. The first tune, “Waiting Half the Night” is full of fist-pumping goodness as is the hilarious “I Don’t Want a Girl Who’s Been with Jack”. “Carnival of Fools” is darker but no less melodic. More anthems appear on the 2nd half of the record (“Something Better Coming Soon”, “Wake Up”, etc.). Two things of note is that this is Pat Todd’s (Lazy Cowgirls) new label and they get some keyboard help from Brady Bunch alum Robbie Rist (who I think has played in every L.A. power pop record) . Also, I had no idea that leader/songwriter Pat “Pooch” DiPuccio is the same Pooch from FLIPSIDE ‘zine all those years ago!" 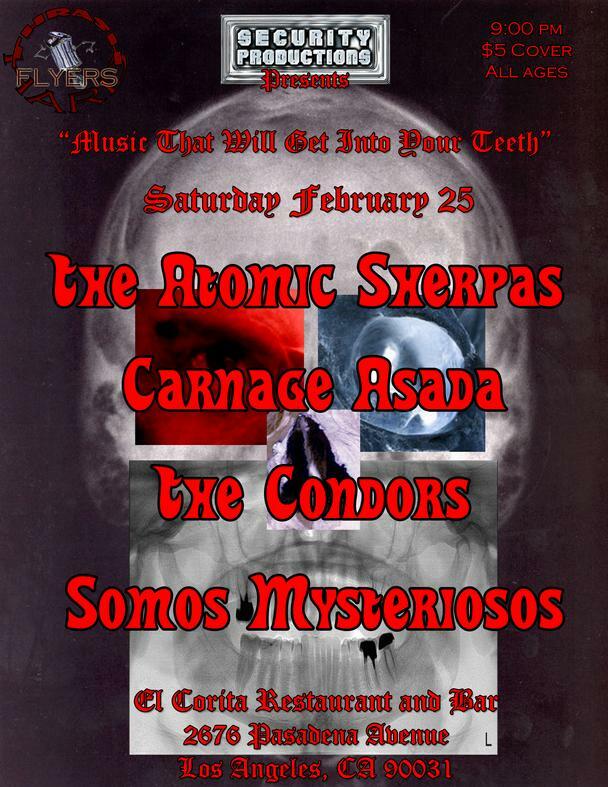 "Now here is a band that can rock with the best of them. 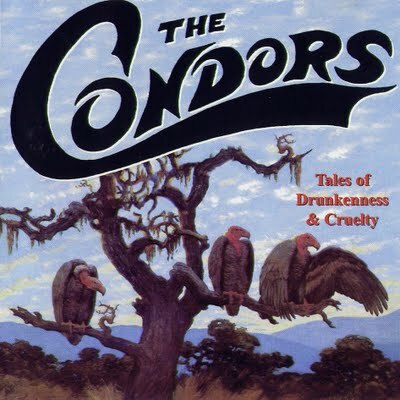 If the Kinks and the Flamin' Groovies met up with the DIY punk of The Godfathers, they might've sounded like The Condors. The songs benefit from producer Steve Refling and special friends who stopped by the studio to lend their musical and vocal talents; including Tony Fate (Bellrays), Jerry Koskie (Simpletones/Cheifs), and the ubiquitous Robbie Rist (too many bands to mention here). "She's not the Girl for me" and "Don't Talk about Love" are perfect bar band styled classics, and have a great Jam meets Dire Straits feel to them. "Expectations" sounds similar to classic Elvis Costello circa "Armed Forces" with even more muscle. The Ray Davies comparisons are all over the classic "Something Better Coming Soon" and Pat "Pooch" DiPuccio does a great job of matching the energy and sound of those classic rock and roll riffs. The sharp Beatlesque guitar buzz on "Kiss That Girl Away" is what power pop is all about and "Spare Time" has a big Raspberries vibe with a Lou Reed-ish vocal. "Set Me on Fire" even has those great horn flourishes. Although a few of the songs didn't win me over, this is a great album whose time has come. This combination of old school punk and pop that makes the album a pure joy to listen to." The tracks were co-produced by The Condors, Tony Fate (Bellrays), and Steve Refling; recorded and mixed by Steve Refling. Initially released on Vital Gesture Records, these recordings still find their way onto many rockin‘radio play lists. This six-song mini album is a tribute to Condors' leader Pat DiPuccio's former band, Blow-Up. 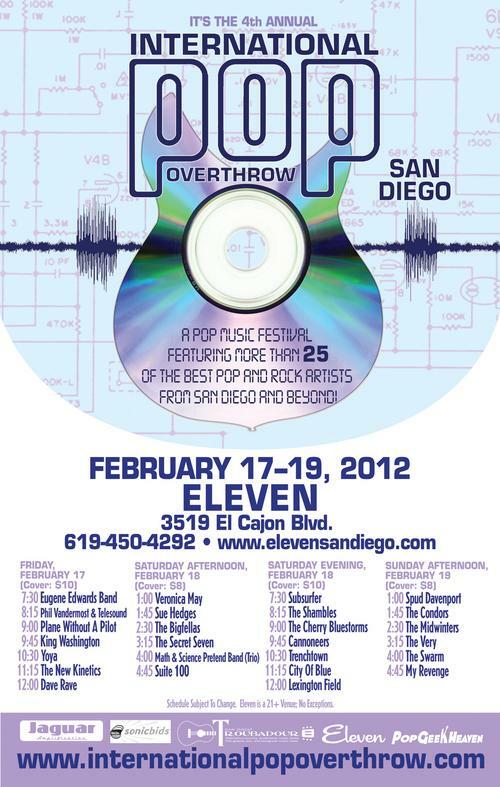 It's upbeat, classic rock and roll, with an edgy side of pop on top. The Condors had frequently played some of Pat's former band Blow-Up's songs live, so while working on their fourth album, the time seemed right to include a few of them. Many of the songs Pat co-wrote in that group never made it past the demo stage and, as such, didn't receive the benefit of a full studio production. Rather than divide the record into songs from two bands, The Condors made the decision to record six re-worked Blow-Up numbers, and release them as mini album. The remaining tracks will form the basis of their next full-length project. A few people involved with Blow-Up even dropped by to lend their talents to the sessions. Singer Jody Worth added background vocals to three of the songs, and Michael Rummans (who Pat had played alongside with in The Sloths) laid down a couple of bass tracks. Even producer/engineer extraordinaire Winter Lazerus (who Pat had known since high school) added some tasty piano to the song "Girl Trouble."